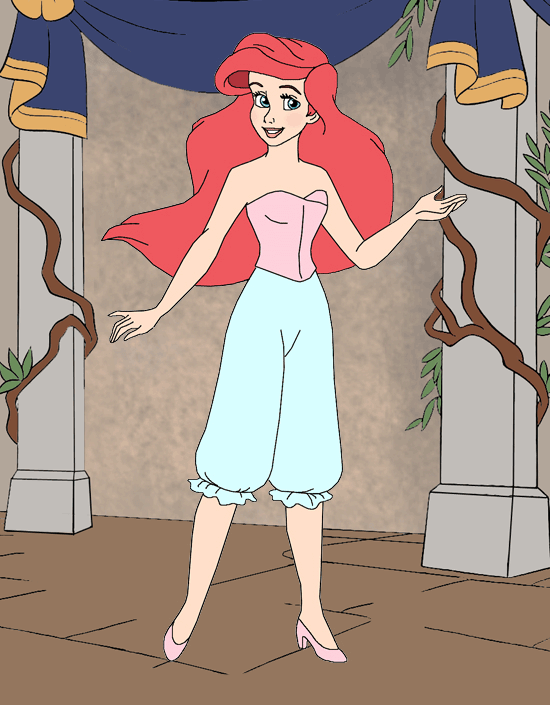 Dress up and make up Disney's Ariel as a paper doll! Mix and match themed dresses (sun, sky, flower, water, forest, moon, fire and snow), crowns and flowers for her hair, necklaces, earrings and accessories. Ariel and Eric visited the village by the castle shortly after Ariel became human. That is where they shared their first dance.